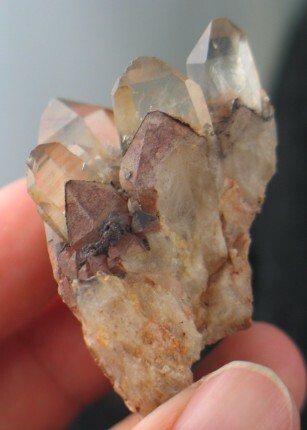 We found this sweetie in one of our stashes of crystals, this is from a find several years ago. 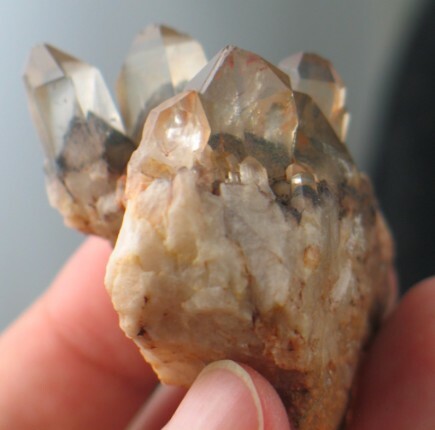 I love the formations of this cluster. The energy is deep and grounding, but doesn't weigh you down. 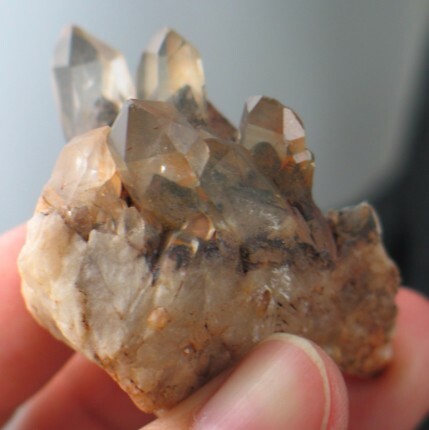 These unusual clusters have crystals with either a reddish orange or grey hue, or sometimes both within a cluster. They all have stunning phantoms, white capped with black layers of hematite, although in some crystals these black phantoms have oxidized to vivid reds. 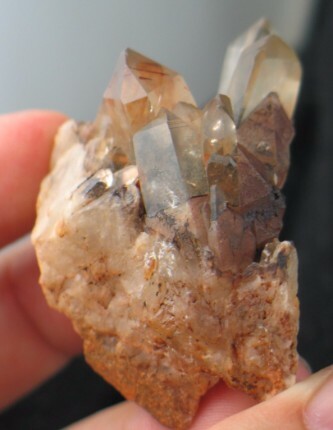 In many of the crystals you can see the clear quartz encasing the phantom layers with. 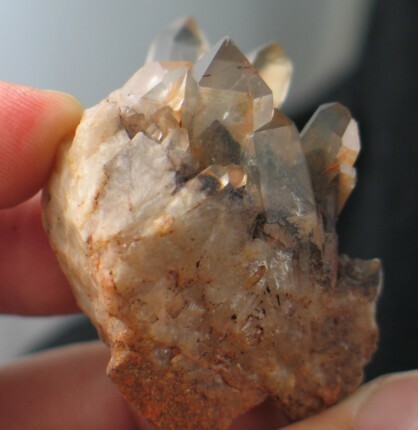 These crystals are not just growing up, they are growing up and down engulfing the host crystals beneath them. 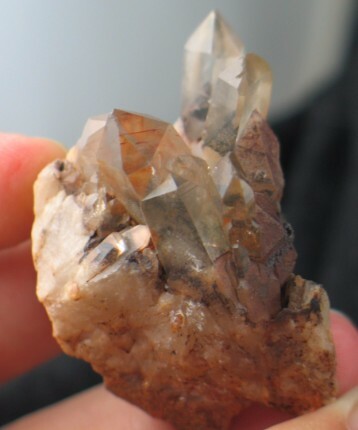 What used to be a crystal termination is transformed into a phantom layer. 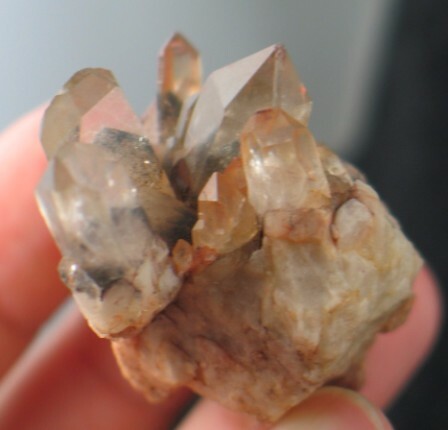 Each crystal in the cluster is similar, yet completely unique. I can't stress what an unusual and delightful find these clusters are! Phantoms mark where we have been, allowing for reflection and the ability to see growth. 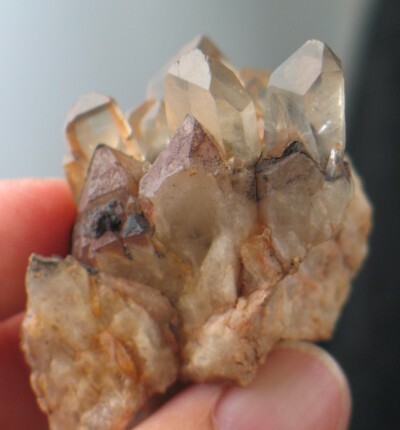 But the energy of these crystals is somewhat different with an interesting dynamic of primal and refined energies. They mark where you have been, but enable you to take your core self and transform into something new, yet still remain true to that core. They refine your rugged core into a cohesive whole, smoothing the edges, creating order from chaos. Their energy is group oriented strengthening ties between friends and family. Their energy is quite grounding, yet there is a strong pulsing energy at the crown and third eye chakras. They also have a strong physical healing energy, but I sense no specialty, just a confirmation that they are capable. To be sure, their energy is just as fascinating as their formations, with many secrets still to unlock.